Grab your sweet tea and have a seat on the porch-The Primary Peach is loading your wagon with a month-long series of fall favorites and freebies! And if that is not enough, we are giving away THREE $50 Amazon or Teachers Pay Teachers gift certificates this month! Yep--that's almost as good as a hot peach cobbler on a crisp fall night!! Welcome to the Peach-yep, it's me, your Georgia peach, Valerie, from Georgia Grown Kiddos. Make sure you visit often and enter each of the three giveaways for the goodies!! This is my favorite time of the year for so many reasons. The colors, the football, the crisp air are all on the top of my favorites for this time of year. 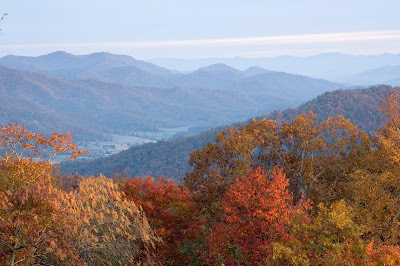 Anyone who has traveled the North Georgia Mountains knows how beautiful they are in the fall. By far, my favorite childhood memory is of our family traveling to Gatlinburg, Tennessee in the fall. I remember all the smells, sounds, and scenes from the ride through North Georgia. Check out the beauty of North Georgia here. 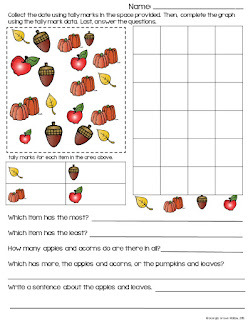 Here is a data and graphing activity I made for the kiddos and it makes a perfect freebie for you too! You can download it here or by clicking on the picture below. Now, it's time to sign up for the giveaway! Remember to come back often to enter each of the giveaways! !